My interest in medical marijuana began a few years ago, not long after my six-week-old daughter was diagnosed with a rare genetic disorder called Aicardi Syndrome. Aicardi Syndrome is a particularly devastating diagnosis that typically includes brain malformations, vision issues, severe developmental and physical disabilities, as well as a lifetime of daily, difficult-to-control seizures. Sadly, Sadie lost her battle with this condition and passed away on November 19, 2013 at just 3½ years of age. Throughout her short life, Sadie’s little body struggled for seizure control. She tried approximately fifteen different seizure medications, three rounds of steroids, a specialized diet, an implanted device called a Vagus Nerve Stimulator, as well as two brain surgeries—one which removed almost 2/3 of the right side of her brain. Sadie and thousands of other children with intractable epilepsy have had very little hope for controlling their seizures, until the recent developments in breeding strains of cannabis high in cannabadiol (CBD) and low in tetrahydrocannabinol (THC). Because THC acts as the primary psychoactive component of the plant, the low THC strains do not get people high. However, they seem to have a dramatic impact on controlling seizures in children with some of the most debilitating seizure disorders. (It is important to note that children are not smoking the plant, but take the medicine in an oil form.) Early evidence from “legal states” is convincing—these substances are helping, and they seem to have virtually none of the awful side effects of traditional anti-seizure medications. Access to medical marijuana for children is gaining ground across the US, with 17 states legalizing pediatric use of the medicine by 2014. This comes as public opinion on the legalization of medical marijuana increases exponentially. 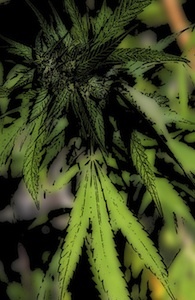 The uptick in public support of medical marijuana may be attributed, in part, to Sanjay Gupta’s widely publicized CNN documentary Weed and the subsequent Weed 2: Cannabis Madness. In his first documentary, Gupta showed medical marijuana being used successfully by multiple patients, from chronic pain sufferers to cancer patients. Gupta, a skeptic turned advocate, produced these documentaries to shed light on patients’ successes with the medicine, including six-year-old Charlotte Figi. As parents of severely epileptic children have learned about Charlotte, and the real possibility that cannabis might help, many are advocating for the use of medical marijuana in their own states. Legalizing marijuana at the state level is only the first step, however. A second hurdle is finding dispensaries and growers who have knowledge about how to breed specific plants and subsequently turn those plants into medicine. One Colorado-based organization, Realm of Caring (RoC), seems to have mastered the technique of turning plants into oil-based medicine for children. RoC employs scientists, many who have previously worked for large pharmaceutical companies, to develop the medicinal oils. Each dose of RoC-produced oil is meticulously tested for concentration amounts, a step which is of crucial importance to the children receiving this medicine. With only a handful of states providing access to medical marijuana for children, combined with the learning curve of converting specific plants into medicinal oils, many parents have chosen to relocate to Colorado in order for their children to have immediate access to this medicine. In just the past eight months, over 100 families have become “medical marijuana refugees,” leaving their home states for Colorado seeking the medicine provided by organizations like Realm of Caring. While progress is happening at the state level, marijuana is still illegal under federal law. Because federal authority trumps state law, the federal government has charged people in possession of medical marijuana with a crime and could still do so, even in “legal states” like Colorado. In the past few years, however, the Justice Department has chosen not to strictly enforce the law against medical marijuana users, instead limiting their efforts to larger violations. When they do get involved with medical marijuana cases, it is typically at the grower or distributor level. Because marijuana is still illegal under federal law, the drug cannot be carried across state lines. As a consequence, refugee families are unable to leave the state of Colorado with their children’s medicine. Enter GW Pharmaceuticals, a United Kingdom-based company who is developing a pharmaceutical grade medicine derived from the marijuana plant. Through the Food and Drug Administration’s (FDA) Investigational New Drug (IND) program, GW Pharmaceuticals has begun trials of their new medicine, Epidiolex, here in the United States. Epidiolex is a purified, pharmaceutically formulated, natural version of CBD. Presently, the FDA has granted a total of seven “expanded access” IND trials of Epidiolex. The data from these trials will be hugely beneficial for physicians and patients on the treatment of pediatric epilepsy. The initial rollout of Epidiolex seems promising, especially due to the FDA’s recent granting of “Orphan Drug Designation,” which allows the medicine to be used by patients with Dravet and Lennox-Gastaut Syndromes after the appropriate clinical trials. Under the Orphan Drug Act, the FDA may grant orphan drug designation to drugs intended to treat a rare disease or condition, generally a disease or condition that affects fewer than 200,000 individuals in the U.S. Organizational and political progress has also increased recently. The large support of the epilepsy community has prompted advocacy and research organizations like CURE and The Epilepsy Foundation to come out in support of additional research into medical marijuana to treat epilepsy. We as parents understand that expanding medical cannabis to children is a very challenging political step. But this is an emergency for the children involved. For children suffering from epilepsy, time is of utmost importance. Every day—every seizure—robs children of crucial development. Speaking as a parent who has lost a child, the time to “wait and see” simply does not exist. I’m not talking about utilizing medical marijuana for a back pain epidemic amongst college students. I’m talking about real kids—real families—who have exhausted their options and continue to face a daily battle of poorly controlled epileptic seizures and the risk of Sudden Unexpected Death in Epilepsy (SUDEP). Sadly, my own daughter never had the chance to try this potentially life-changing medicine. I strongly believe that it would have been beneficial for her, as it has proven to be for others with her condition. As progress continues to be made by tireless parents and advocates, I hope for a future where medical decisions are not made by a legislative body, rather by patients and caregivers in tandem with medical professionals. 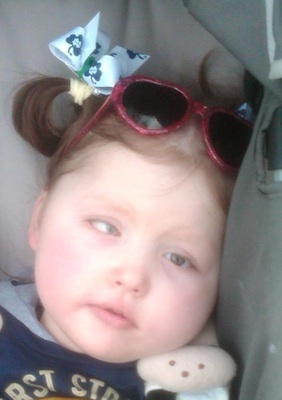 Cathy McCann is the mother of Sadie Elizabeth McCann, who was diagnosed with Aicardi Syndrome, a rare genetic disorder. Sadie was born on April 29, 2010 and earned her angel wings on November 19, 2013. Cathy works as a freelance writer/grant-writer/ghost writer and blog contributor. To learn more about Sadie and her adventures, visit Sadie’s Journey.